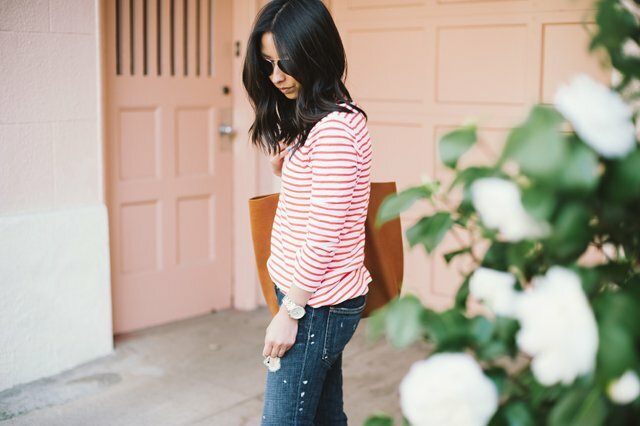 For someone who thinks about clothes and getting dressed way too much (I’m always looking for inspiration for my next outfit), I’ve come to realize the less over-thinking and more simple a look is, the better. And Christine really captures that in these photos. 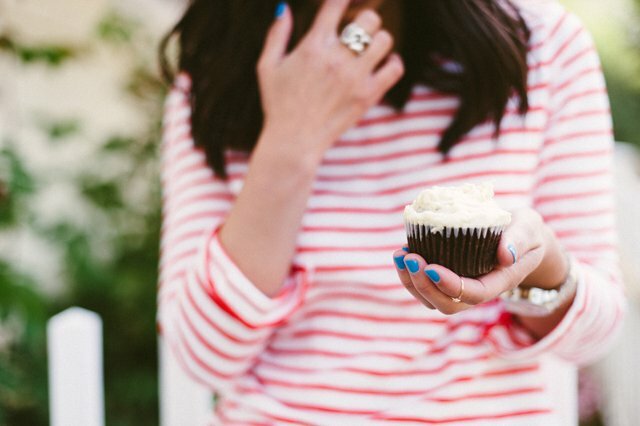 A pair of favorite jeans, a simple striped shirt, some neutral accessories, (a vegan cupcake) and you’re ready to go. 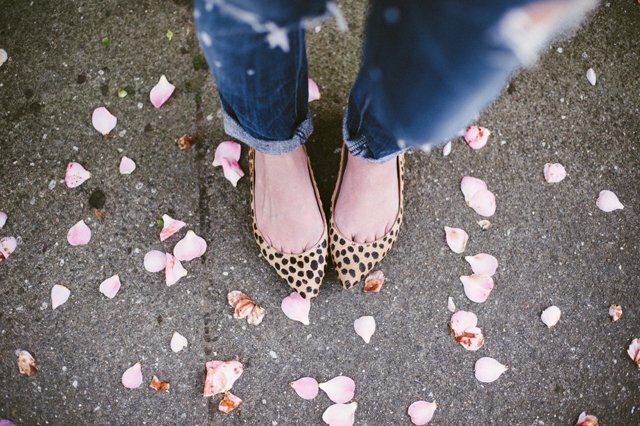 Put together, comfortable, yet effortless at the same time. 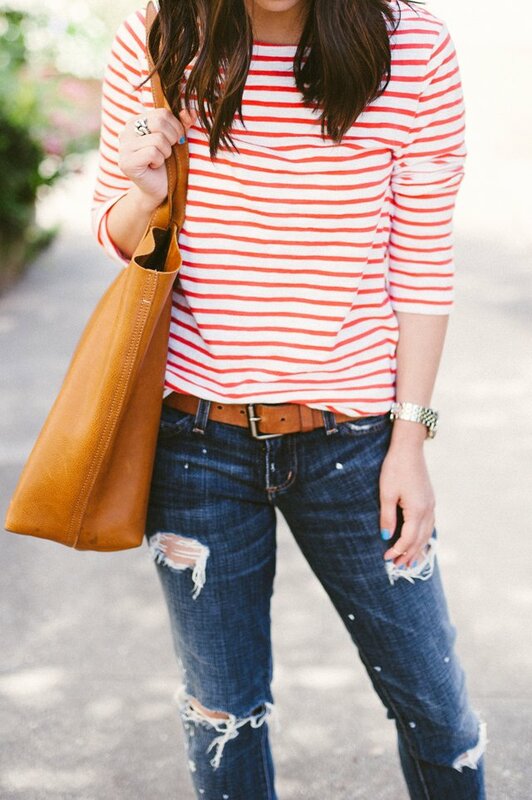 When in doubt reach for basics or lean on any and all striped tees. Lesson learned! Pretty photos and great outfit! I completely agree with you. I got in the habit of constantly buying brights and patterns because they caught my eye but I never felt that comfortable in them. Now I stick to basics and I never feel like i’m keeping up with trends, classic is just better. Love your style and your outfit posts. I know exactly what you mean! Simple is definitely better. I love this outfit; the tee is perfect! totally agree. 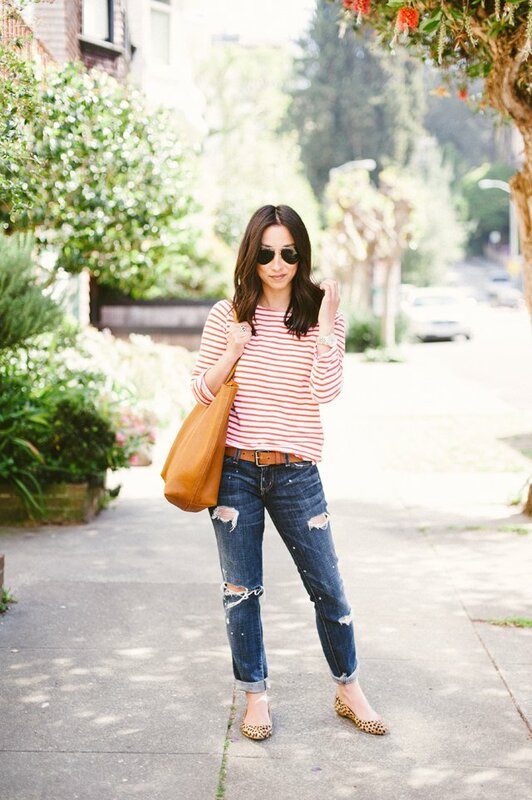 On days where I’m just not into “dressing up” I love going for my trusty stripes and jeans, too. 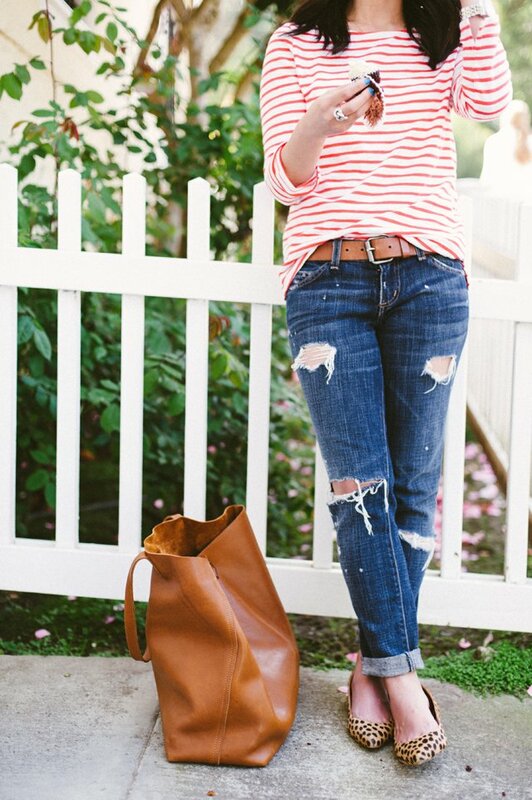 Those jeans BTW are freakin’ fab. I love them on you. 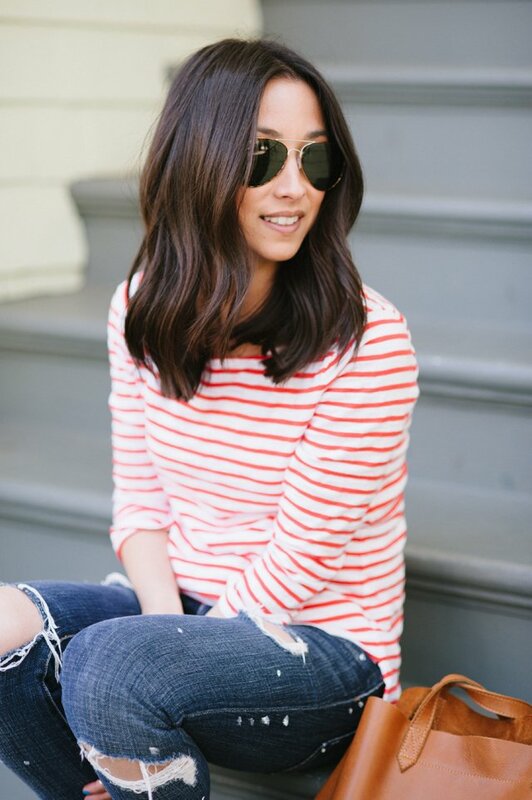 Love your style & hair! Can you pls do a hair tutorial? Thanks! gorgeous as usual. this sounds creepy but i totally want an illustration of pic #5! Adore this super simple look! Thanks for responding! 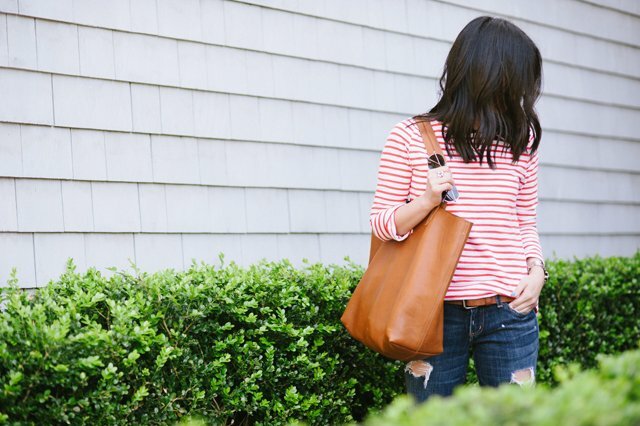 Do you know if the Madewell Transport Tote is sturdier/less slouchy than the Cuyana? 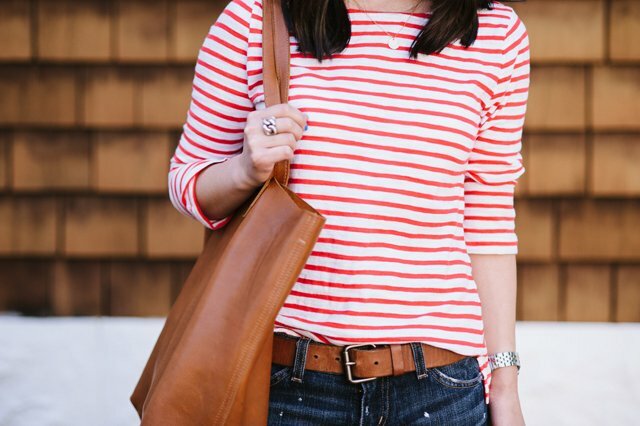 I just purchased an Heirloom r&h tote but want to get another tote as an alternative that is more relaxed.